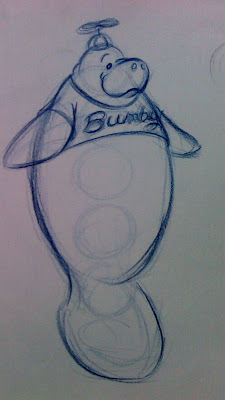 Bumby with a hawaiian shirt? Labels: Bumby in the "Spirit of 76"
Newer version of the sign. 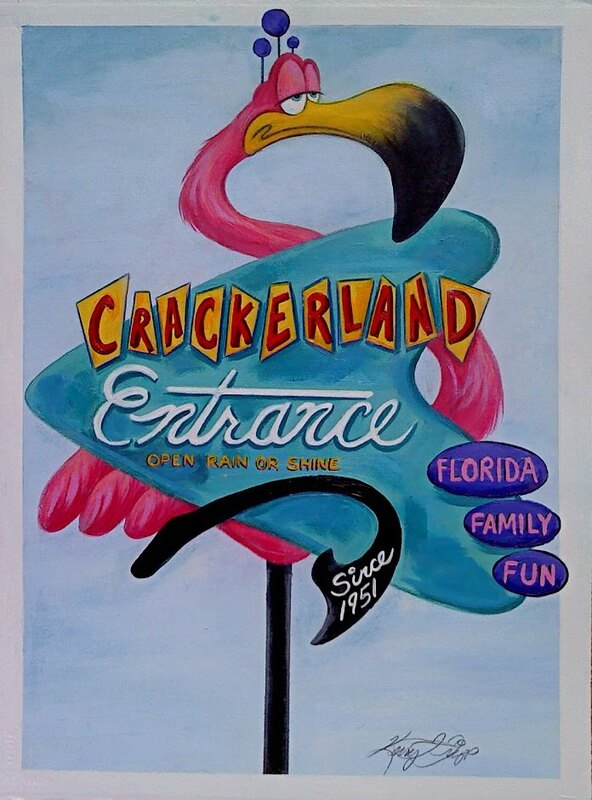 Florida Family Fun since 1951 seems to flow better. 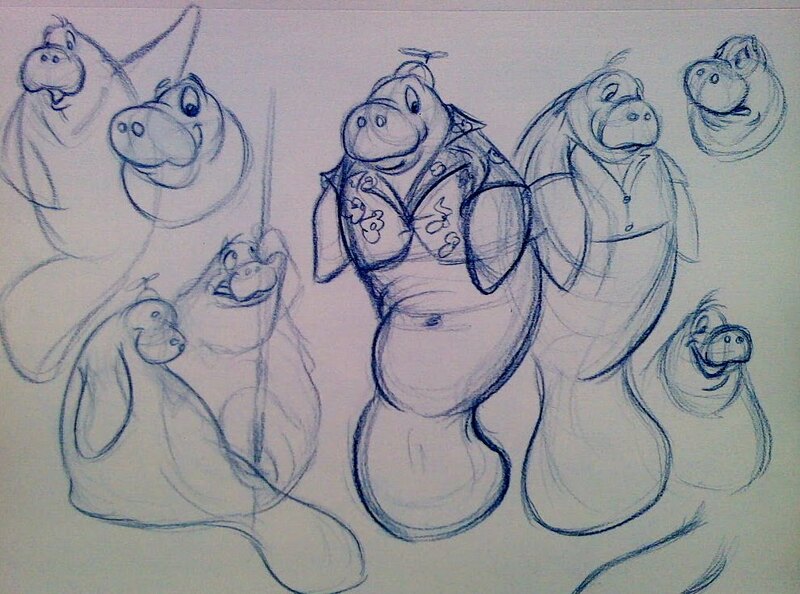 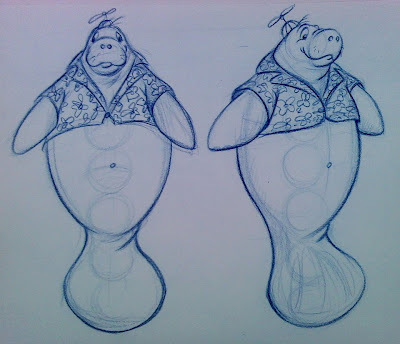 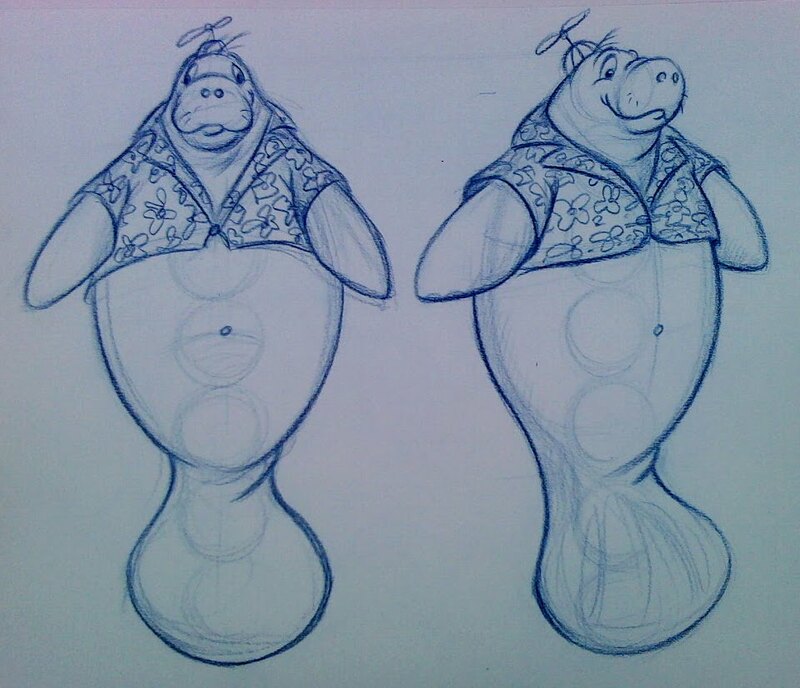 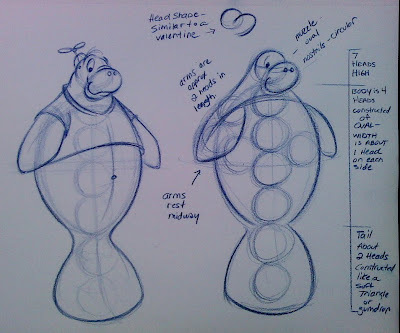 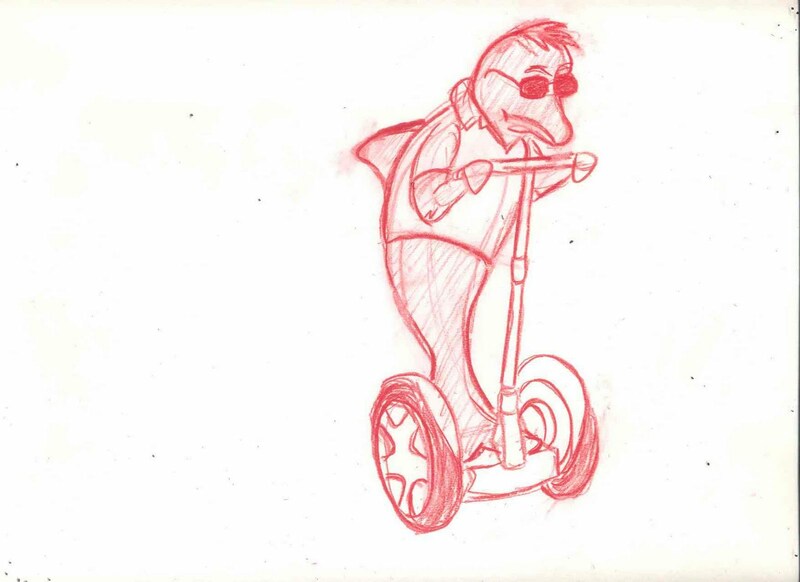 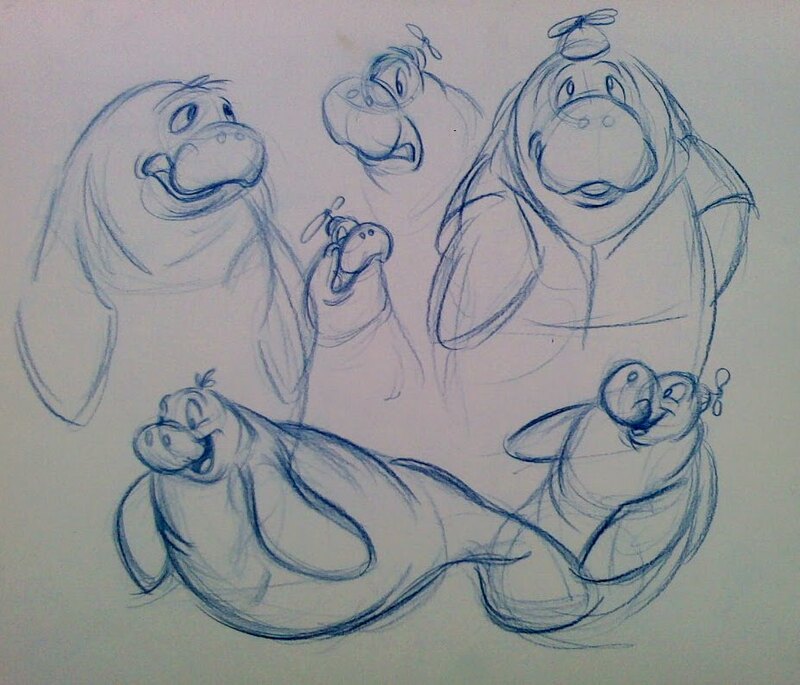 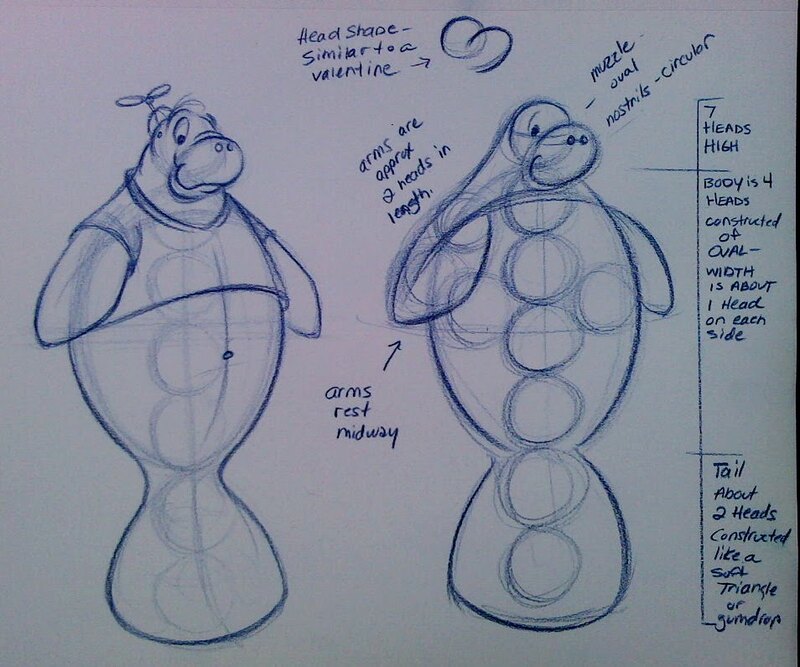 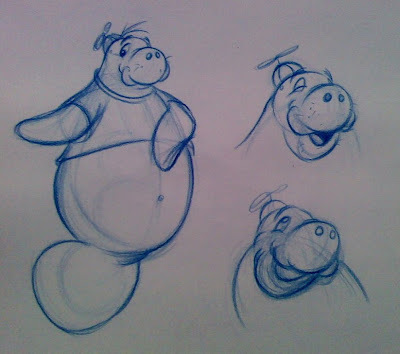 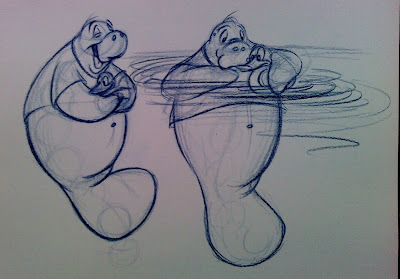 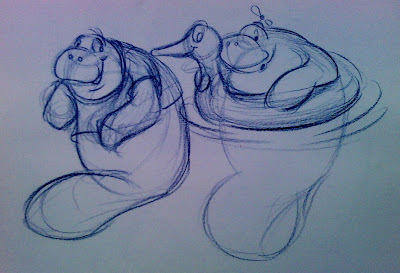 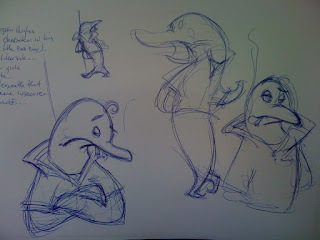 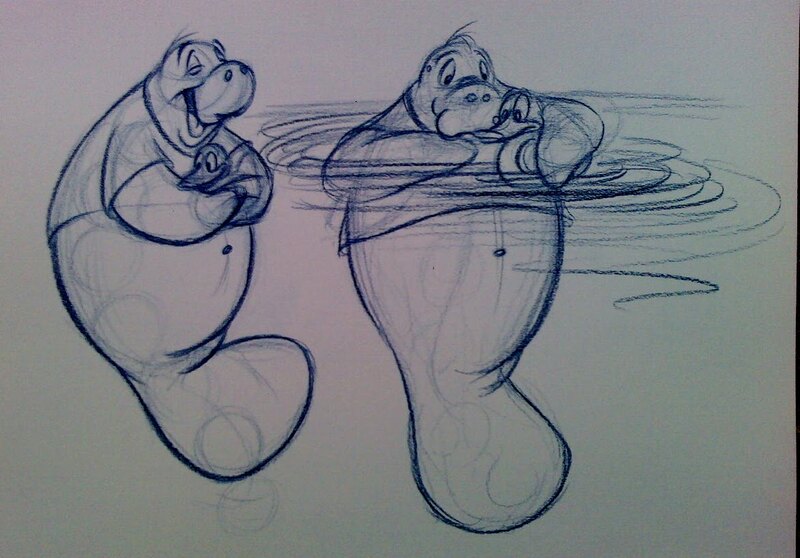 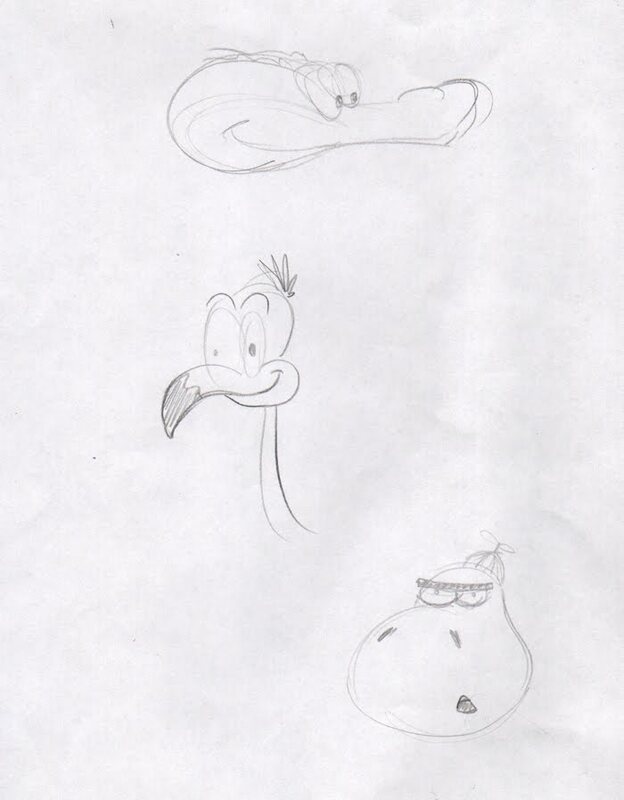 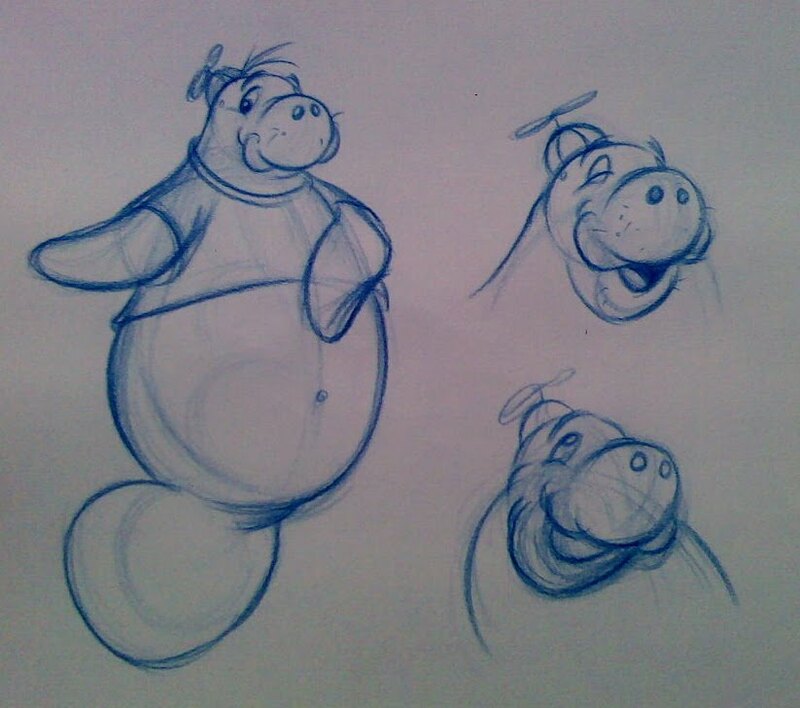 Some rough quick sketches on the Dolphin character. 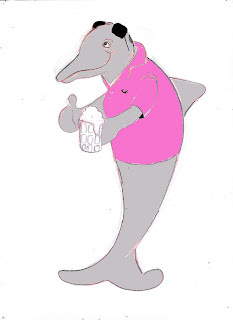 So what ya think of the name Skipper for the Dolphin..? 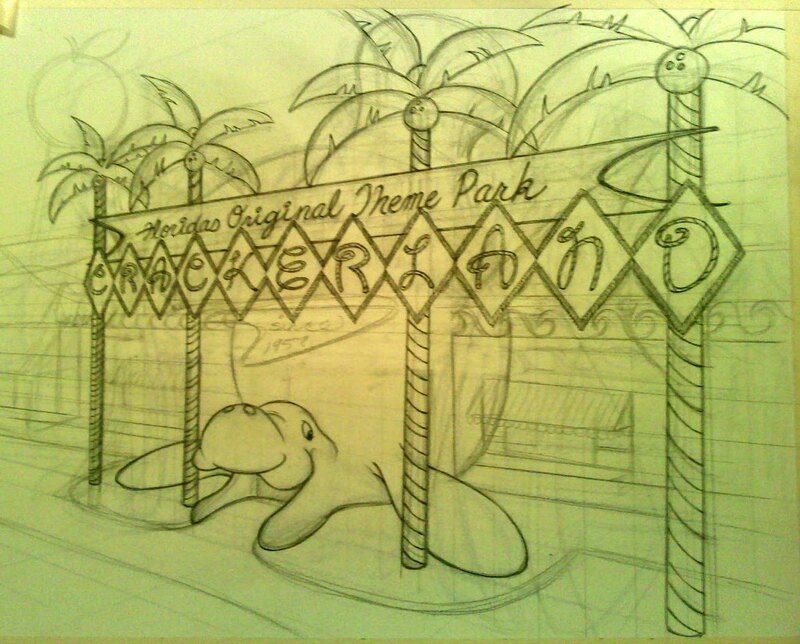 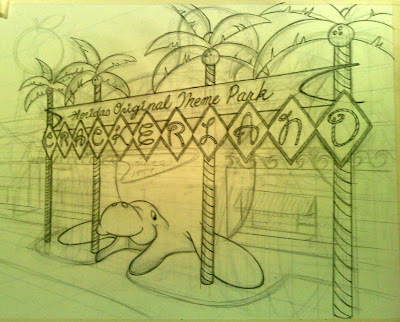 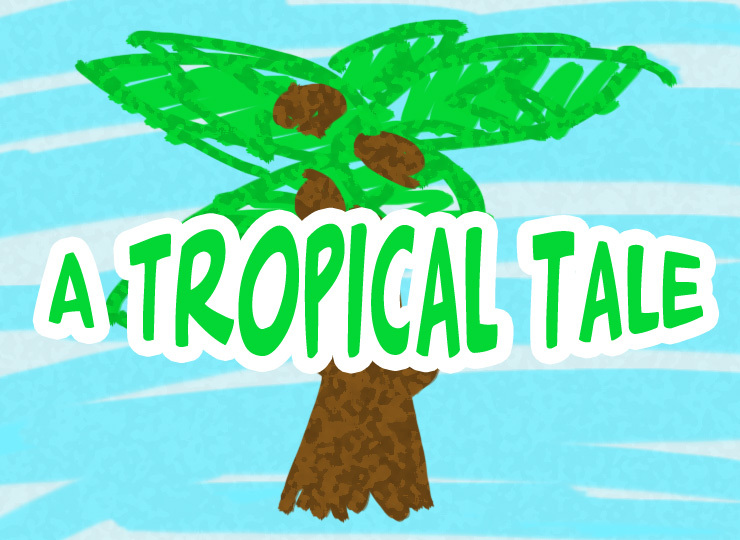 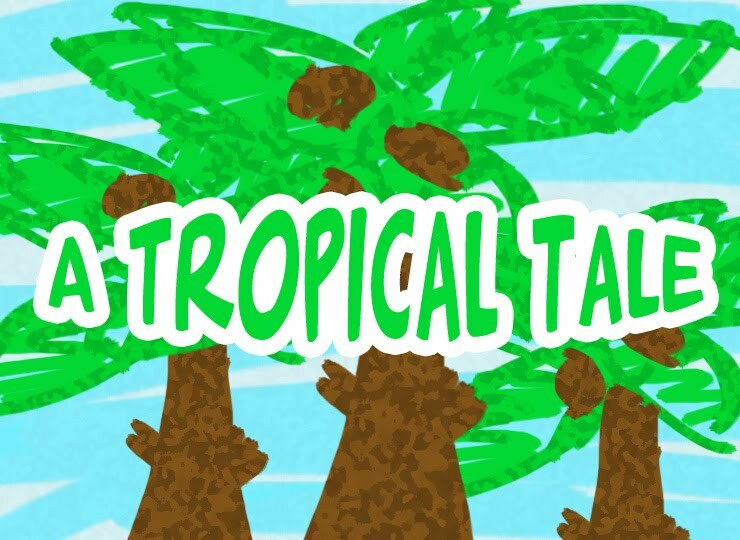 its a play on Flipper & has that snobby country club name that one might associate with 1980's teen movie. 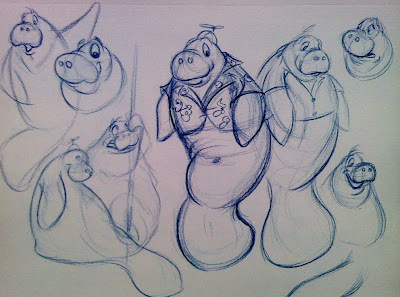 Skipper would be his stage name & Skip his behind the scene name. 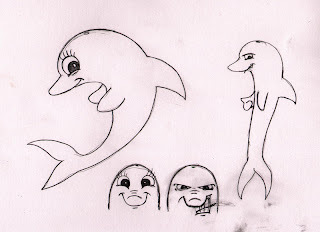 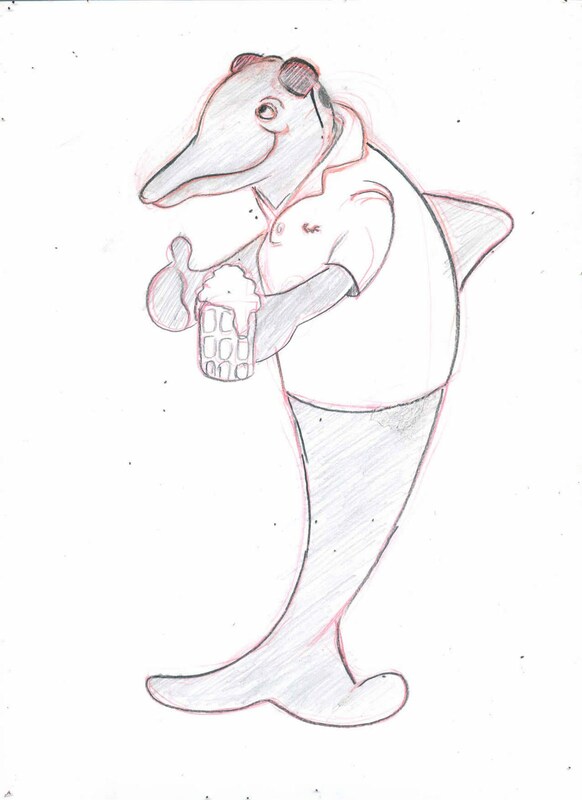 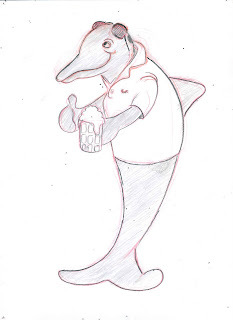 Another Concept for Dolphin character with split personality! 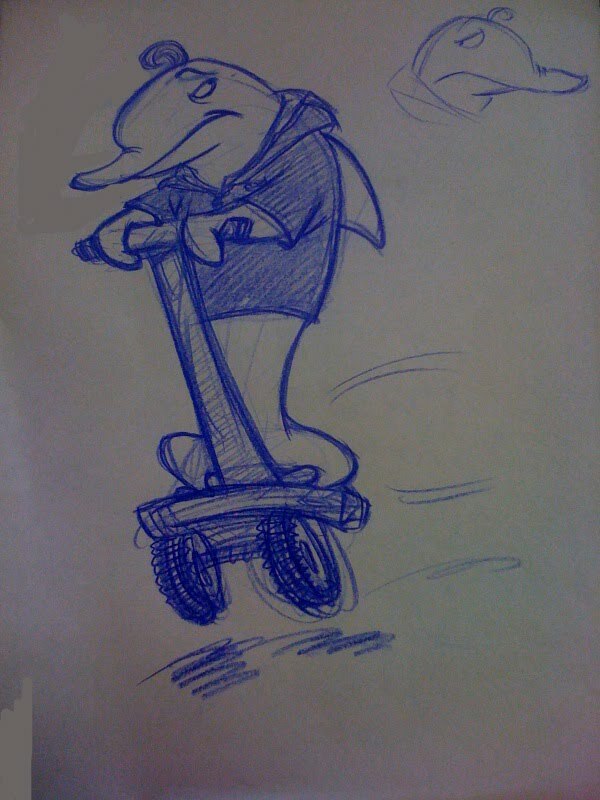 A quick sketch. 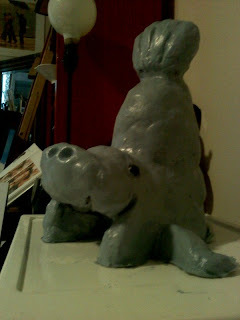 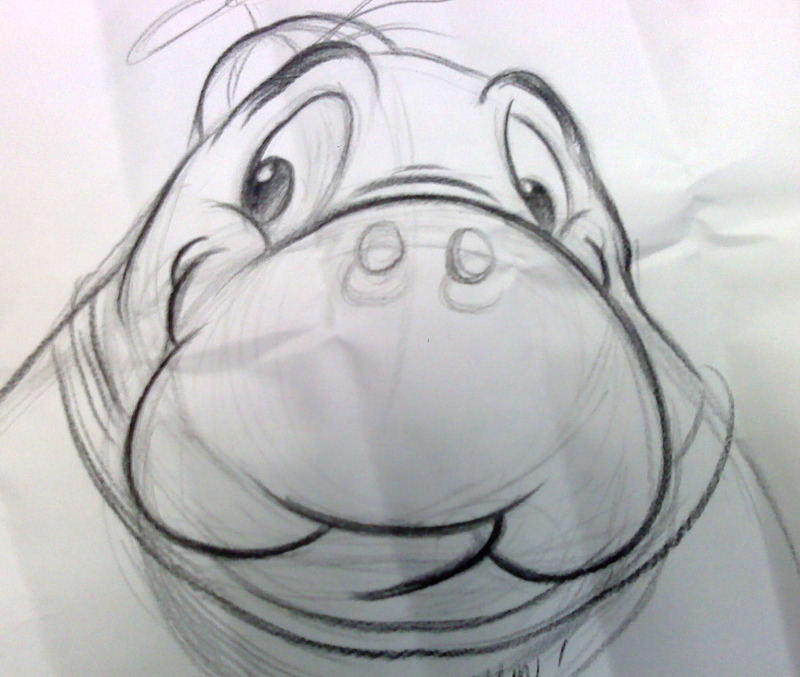 Kinda looks like a hippo.. Made the snout too big. 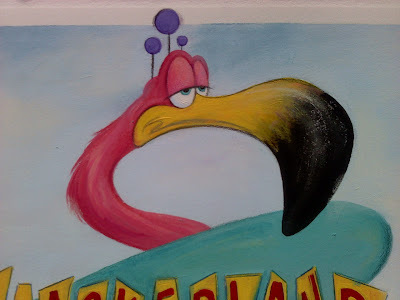 Our rival theme park mascot & main villain of the show. The "Douche bag Dolphin" I imagine him as a villain from the 1980's John Hughes movies or the bad blonde kid from Karate Kid. 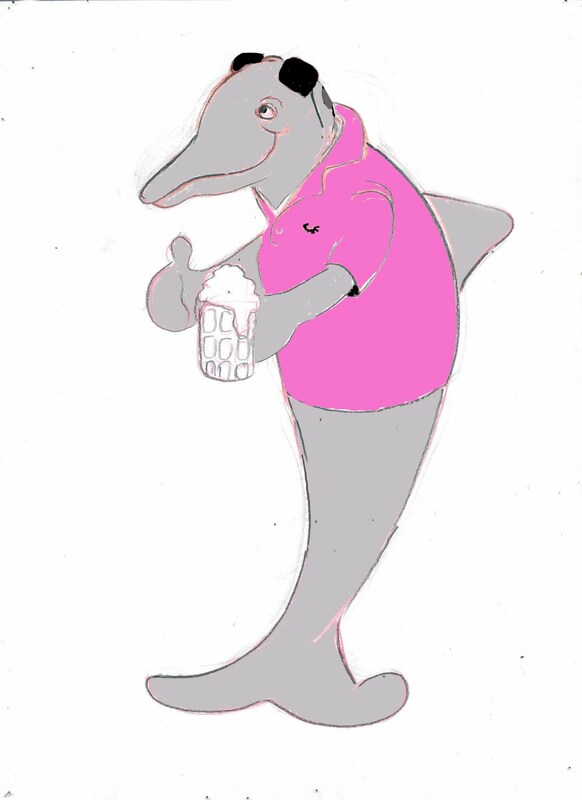 The Rich spoiled Preppy frat boy type .. Collar popped with shades on.. Classic 80's teen movie bad guy ..crossed with Darla Dimples from Cat's Dont Dance. I total fake in front of public but a terror behind the scenes. 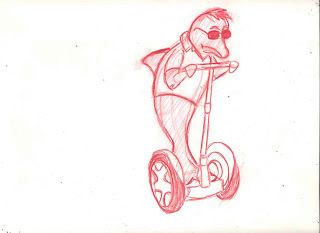 He especially hates our trio.. with Bumby annoying him the most. I think he be a great villain for our show.. What do you think? 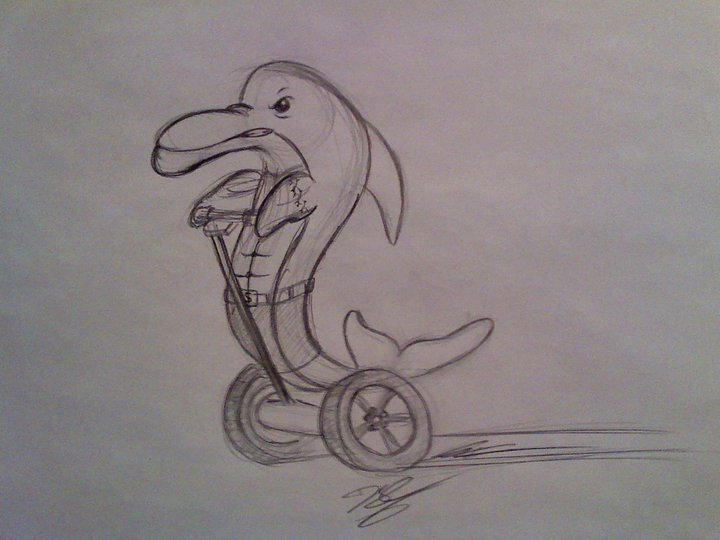 Name suggestions? 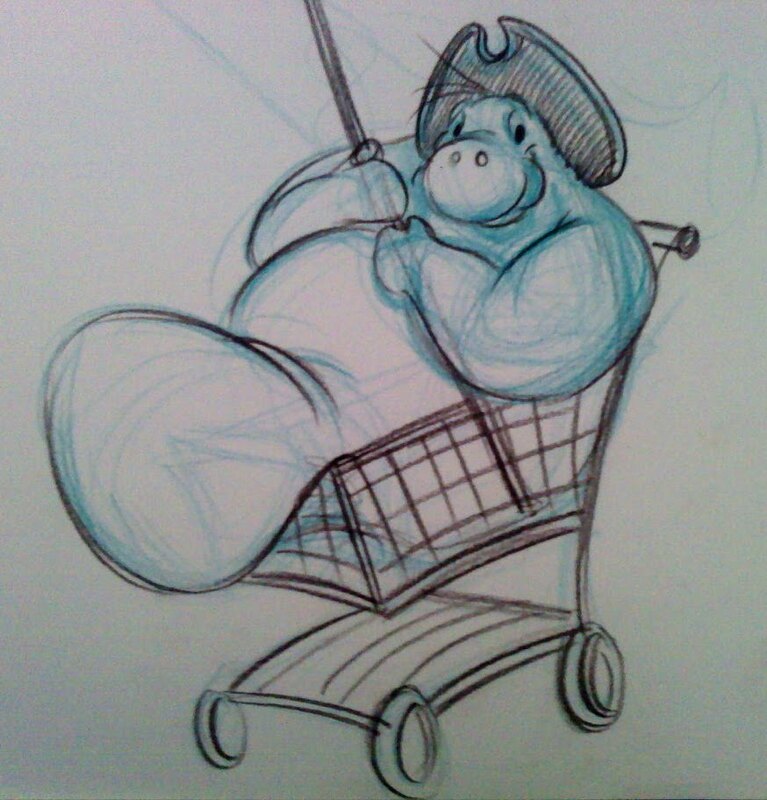 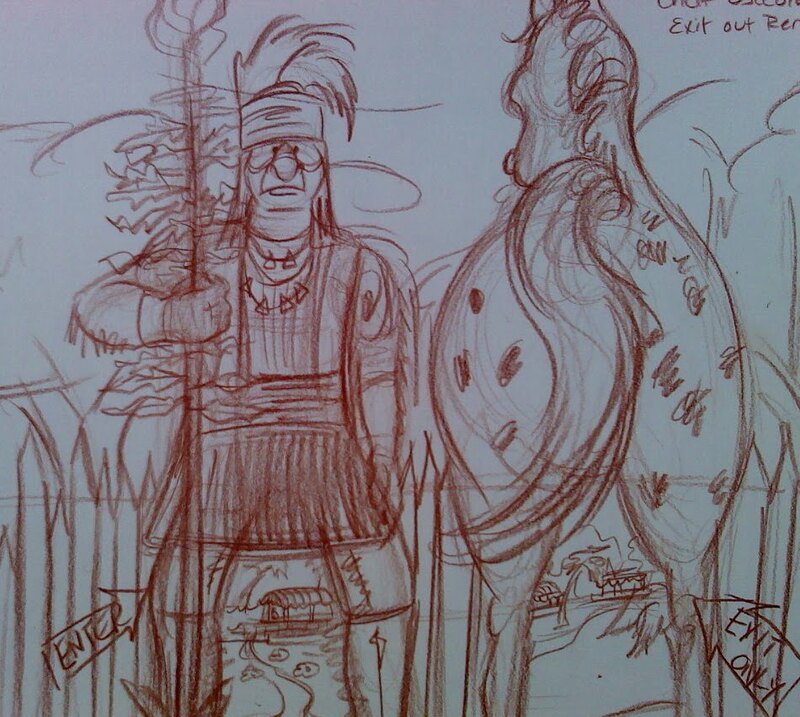 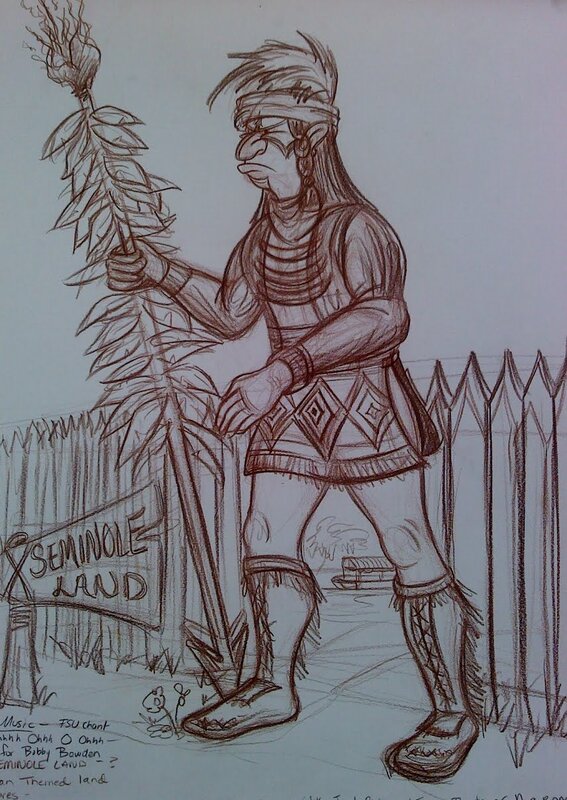 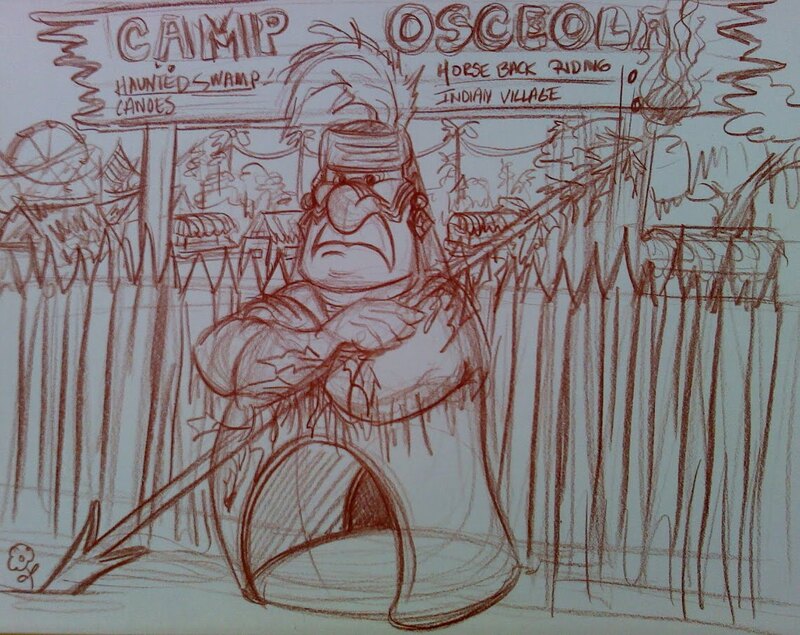 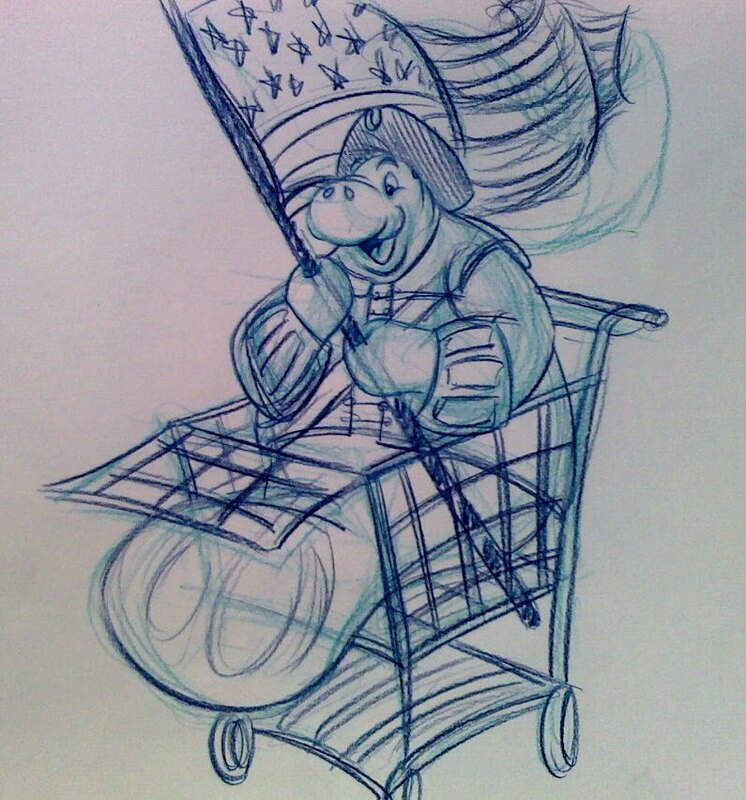 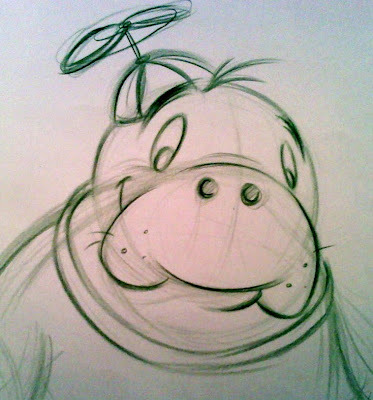 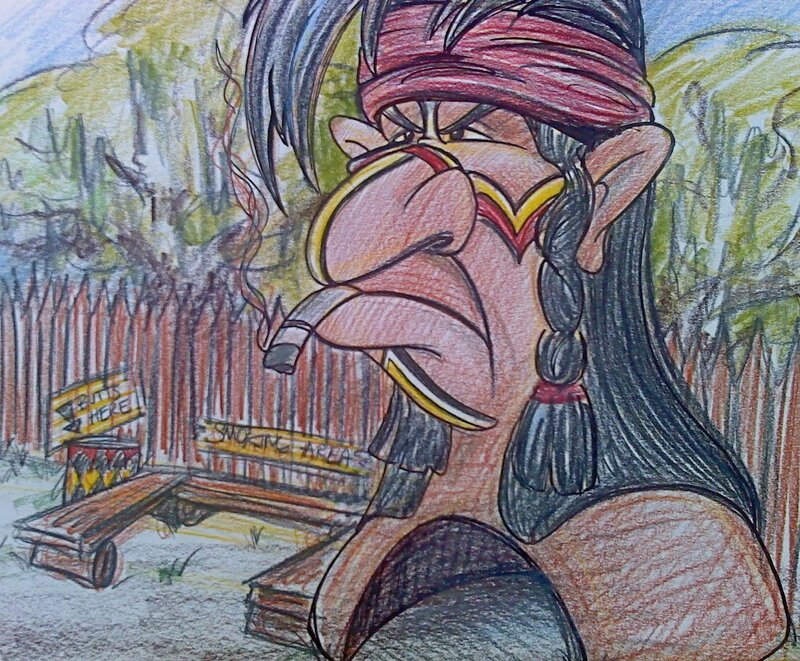 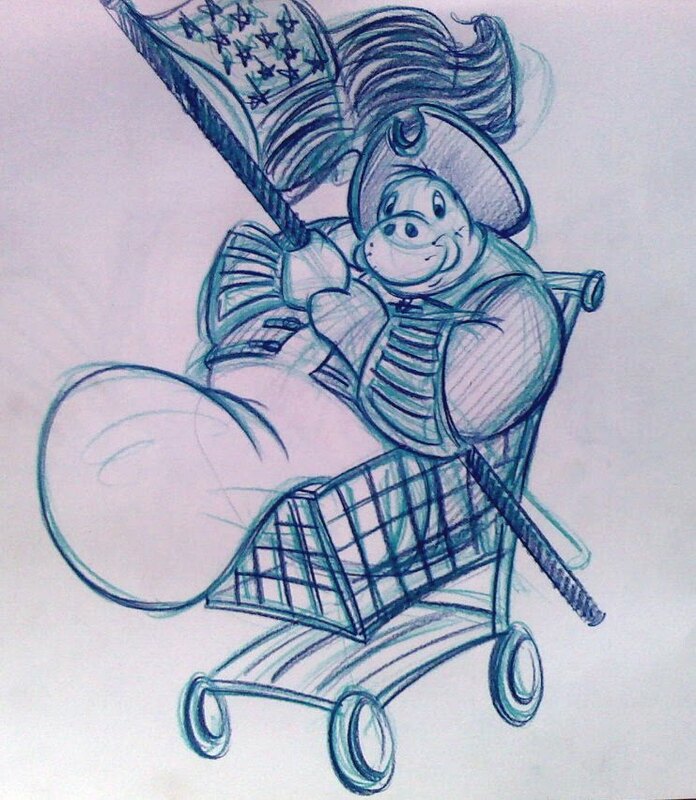 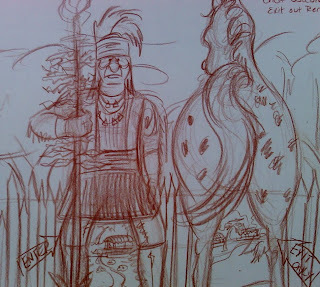 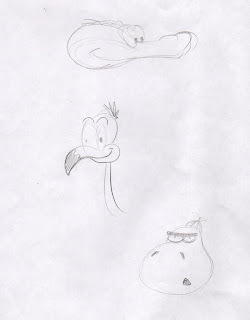 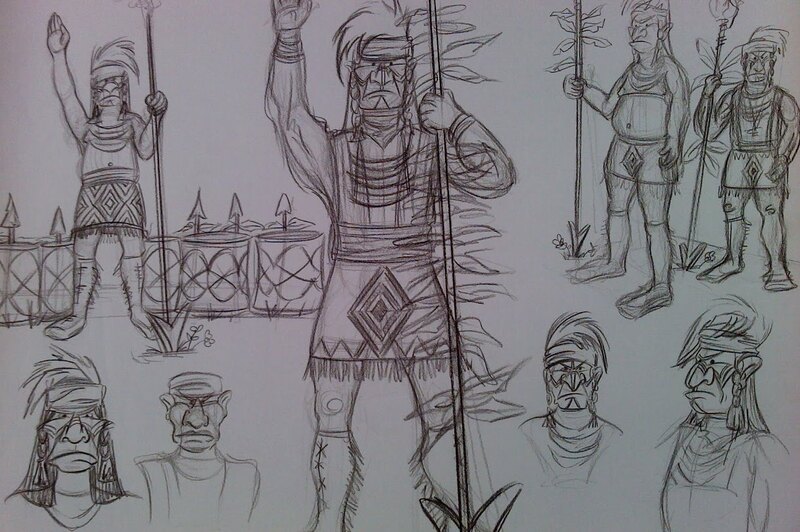 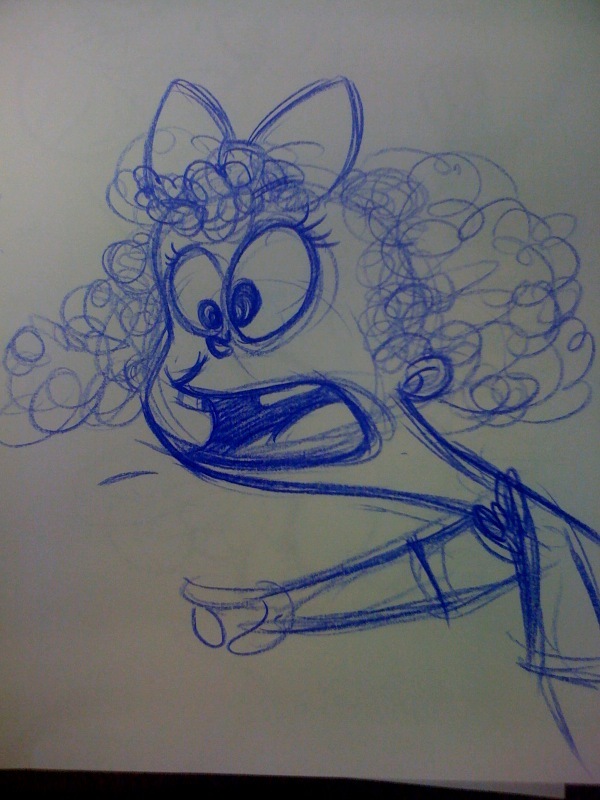 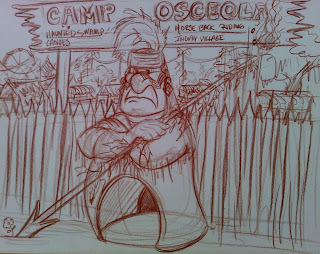 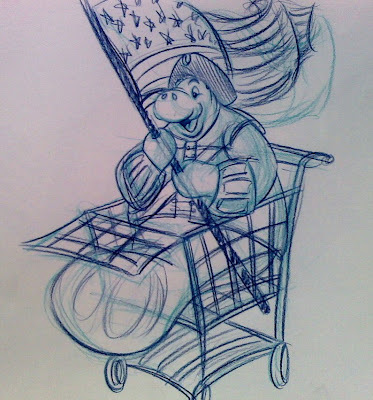 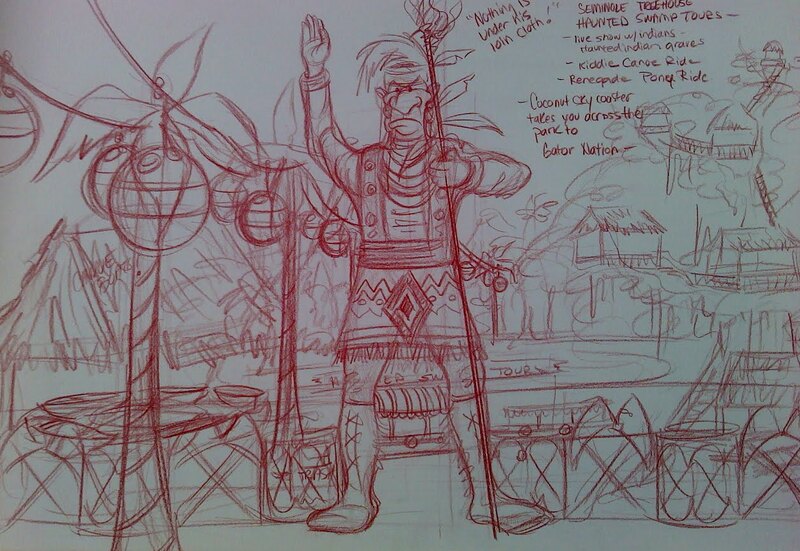 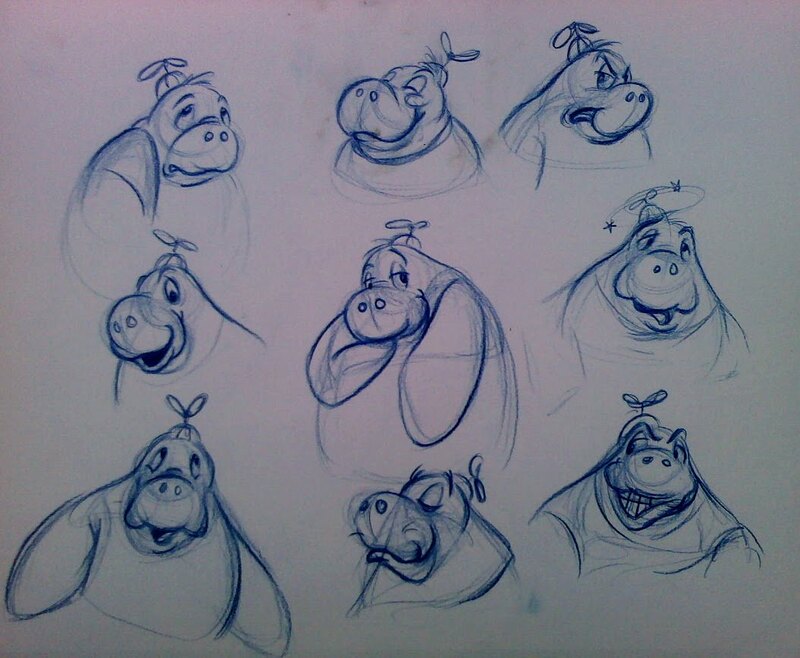 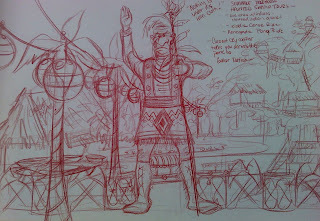 Anyway here is my rough concept drawing of him...IM no character designer .. so any other takes on him be great to see! 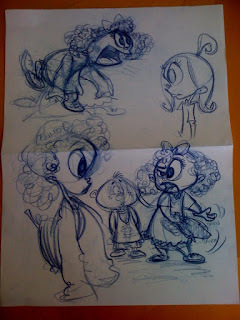 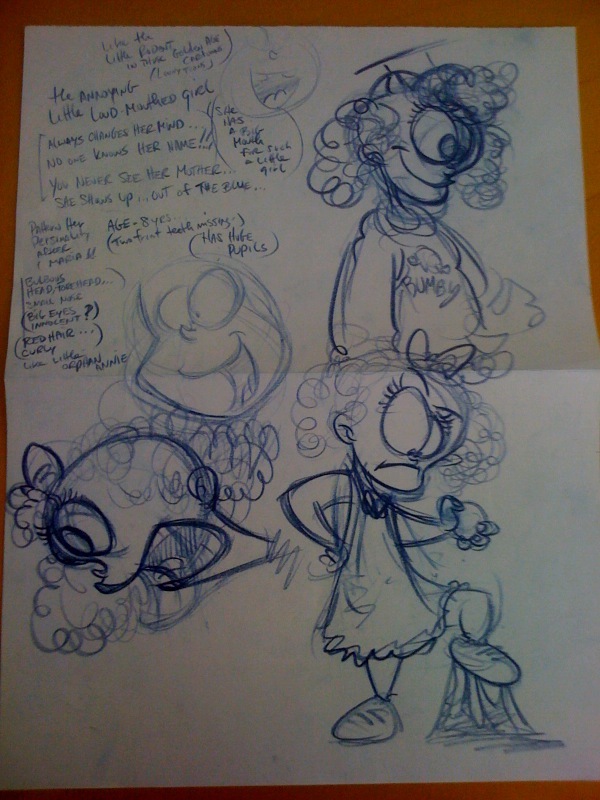 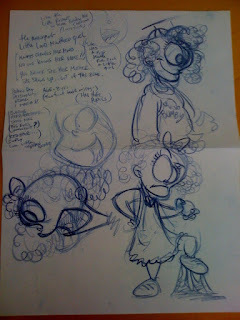 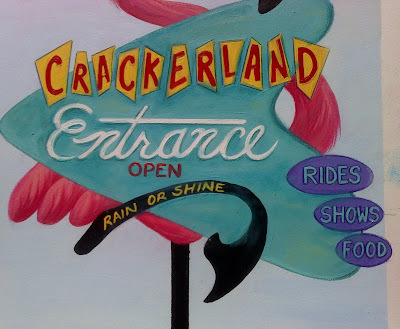 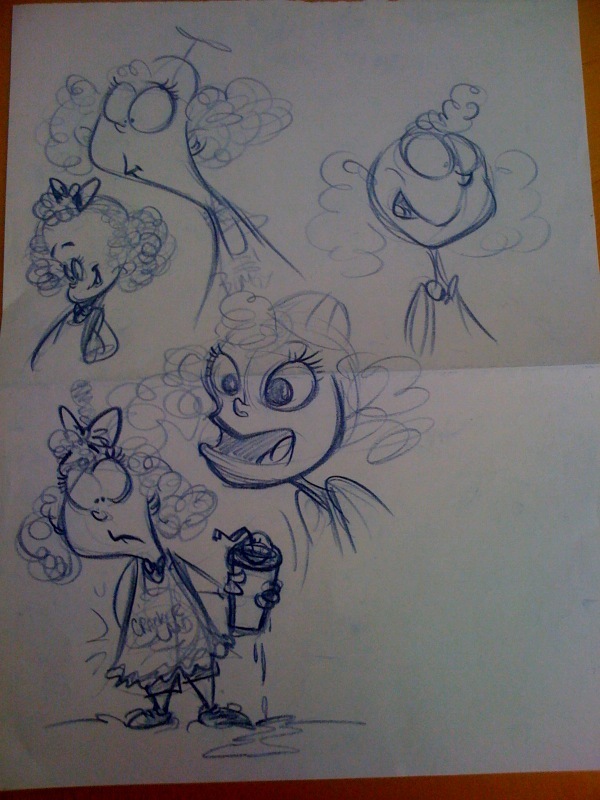 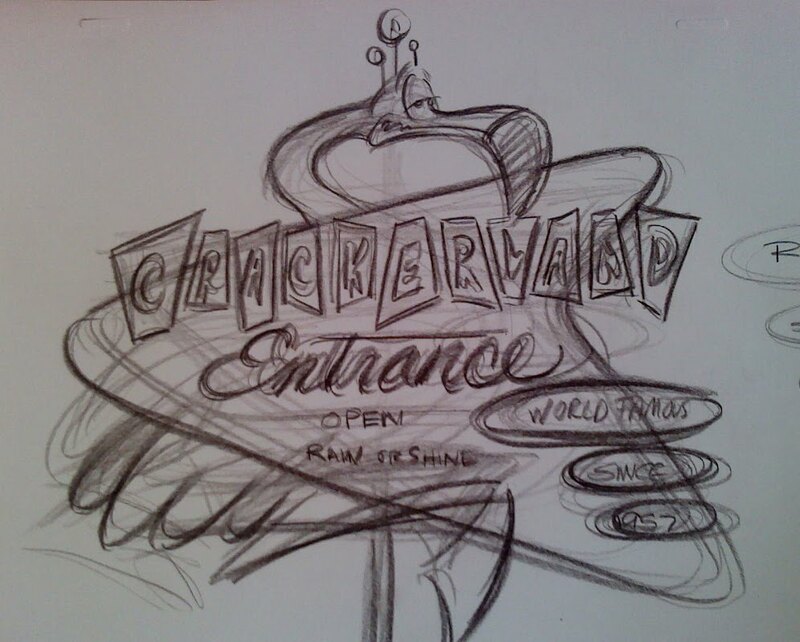 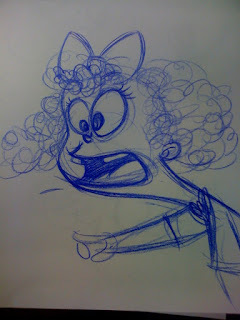 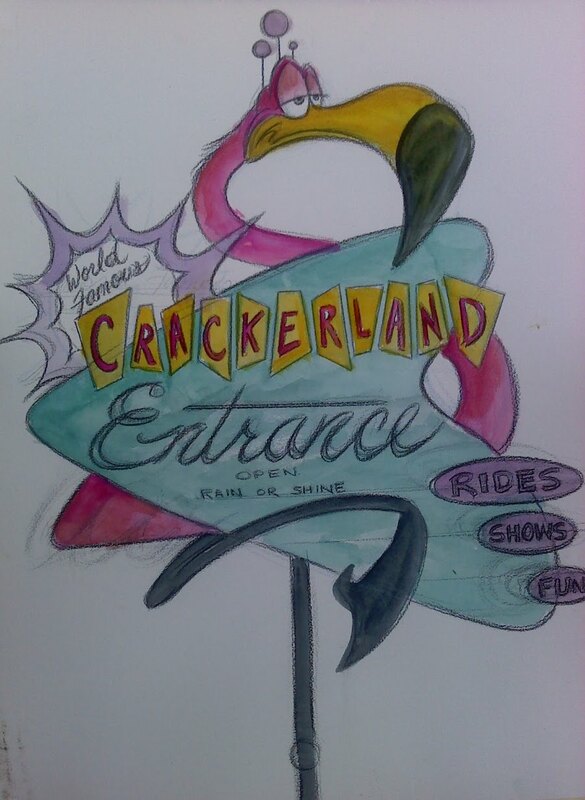 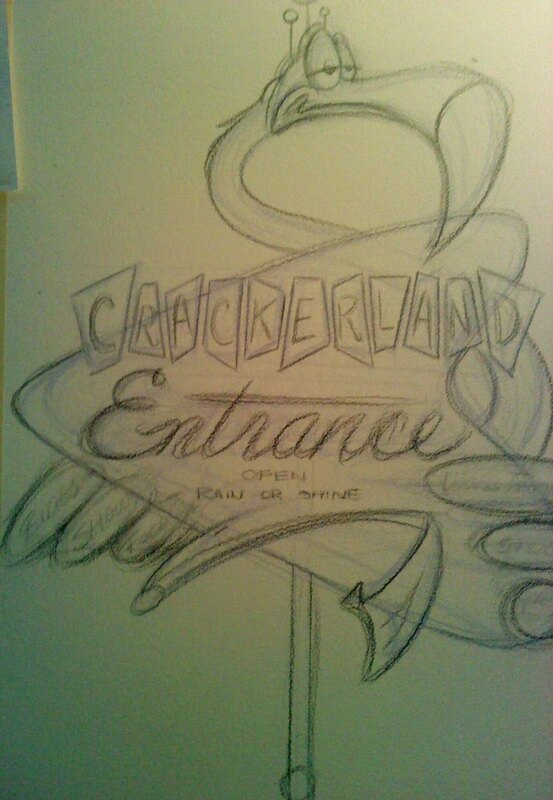 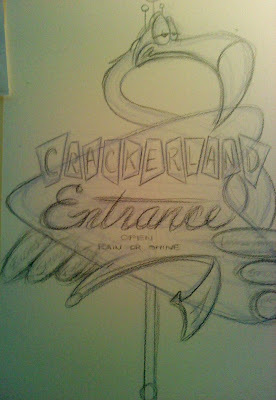 I thought I would post some of the old stuff I worked on at the start of Crackerland, before we called it Crackerland!